Marie Sana April 12, 2019 Government and politics No Comments on FACT CHECK: Did Atiku Hire US Lobbyists To Get Him Recognised As President? ON Tuesday, the Centre for Responsive Politics, a nonprofit research group based in Washington DC, reported that presidential candidate of the People’s Democratic Party (PDP), Atiku Abubakar, is lobbying the United States to recognise him as Nigeria’s “authentic president”. Basing its report on FARA (Foreign Agents Registration Act) filings, the Centre said Bruce Fein and his firm Fein & DelValle PLLC registered as foreign agents on Abubakar’s behalf to provide legal, consultancy, and public advocacy services over a 90-day period for $30,000. “In the contract, Fein’s firm is explicit in promising to ‘obtain official recognition that you are the authentic President of Nigeria based on an accurate counting of legal ballots.’ The goal of the effort is straightforwardly described as ‘to convince the United States that your presidency would open a fresh and new chapter in Nigerian politics,'” it stated. The following day, the Centre’s findings were shared by various local news agencies, including TheCable and Sahara Reporters. He added: “For a party that has broken the worst record in election rigging, the APC doesn’t have any iota of integrity to be taken seriously by anybody. Atiku’s court case has become their biggest burden because it exposes their integrity as a sham, and instead of defending their stolen mandate in court, they are now using fake news to divert public attention from the historic electoral heist they have committed against Nigerians. The United States, in 1938, passed a law known as the Foreign Agents Registration Act (FARA). FARA requires agents representing foreign principals in a “political or quasi-political capacity” to disclose the nature and details of their contract with the other party. All disclosures made are uploaded onto an online database by the US Department of Justice and made accessible to the public. On April 2, Fein & DelValle PLLC, Washington DC-based law firm, registered an active contract it has with “Atiku Abubakar and the People’s Democratic Party of Nigeria”, with registration number 6654. The law firm, according to the agreement, is expected to consult with Congress members towards passing House and Senate resolutions to restrain from a final recognition of a winner pending a fair determination of the legal issues, draft articles and op-eds “to spotlight the issues in Nigeria post-2019 presidential election and to promote the rule of law and due process in resolving electoral disputes in Nigeria”, and then “make television and other media appearances to engage in public advocacy discussions of these issues”. Fein & DelVille agreed to help Atiku secure recognition as the authentic President of Nigeria. Asides this agreement, The ICIR also discovered an earlier contract between Atiku and John Barnett registered in February where the presidential candidate offered to pay the lobbyist $150,000 to facilitate a trip to Washington DC, the US capital. Atiku Abubakar’s claim that the report about his contract with the US firm is a “total fabrication” is false. 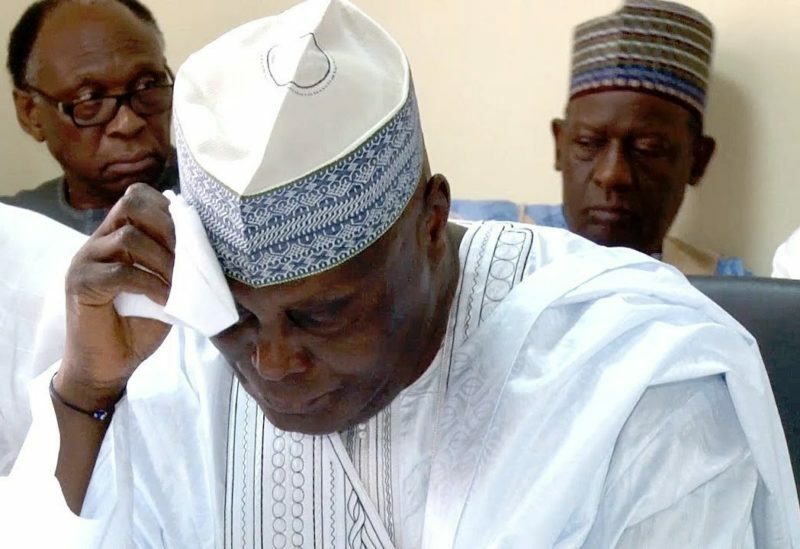 Information on the US Justice Department’s FARA portal establish that such contract exists, where Atiku is seeking to be acknowledged abroad as “the authentic President of Nigeria” based on PDP’s grounds for challenging the declared results. We brought our findings to the attention of Ibe on Thursday but the call was abruptly ended and another call placed to him immediately after was not answered. A text seeking to confirm whether the PDP has seen documents from the US government contradicting its press statement has also not been replied.